On May 11th, 2019 the Vineyard at Florence will host a solo art show for Turner Studio. Details to be announced soon. We had a blast taking the studio to the client in Houston, Texas to celebrate the client's birthday. Our workshop produced 11 acrylic pour paintings; two very large paintings, and 9 small 8x10" palette studies. 5 year old Savanna did her very first pour. Beautiful ladies! 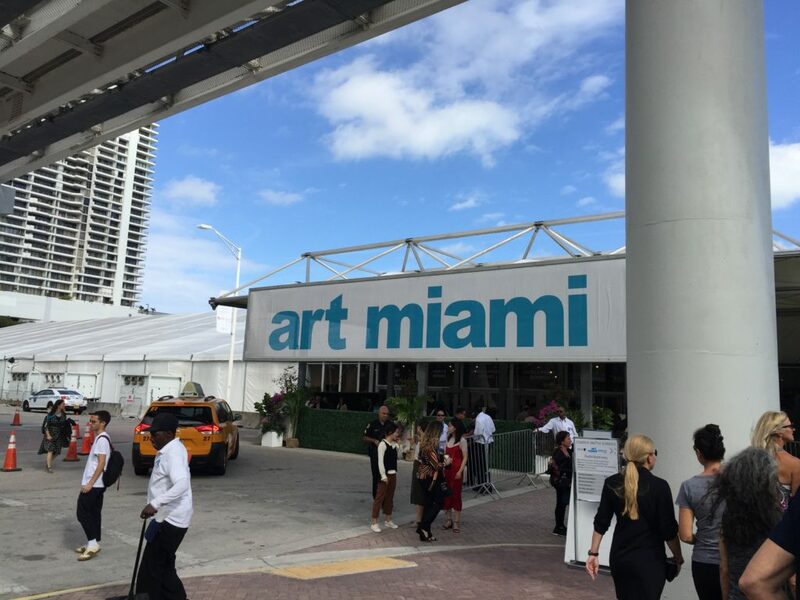 I was fortunate to attend Miami Art Basel, December 14-16, 2018, an international art show held on Miami Beach twice every year. I met my mentor, Amadea Bailey, from Los Angeles, who exhibited her fine contemporary pieces with Fabrik Gallery at the Scope Exhibit, just one of the huge venues housing contemporary art. It was a fabulous trip and I came back exhausted but so totally inspired and eager to go again next year. Shell Chemical from Houston, Texas was our first "Abstract in the Vines" class at the Vineyard at Florence. We had 20 people getting their hands into the paint, each creating something perfectly unique. Each student had three canvasses on which to experiment. The video shows us getting started. See the paintings they created in the gallery. Everyone had fun!!! On May 1, 2010, in the Haight-Ashbury neighborhood of San Francisco, "The Haight Street Rat" was painted by the most well-known street artist alive: Banksy. 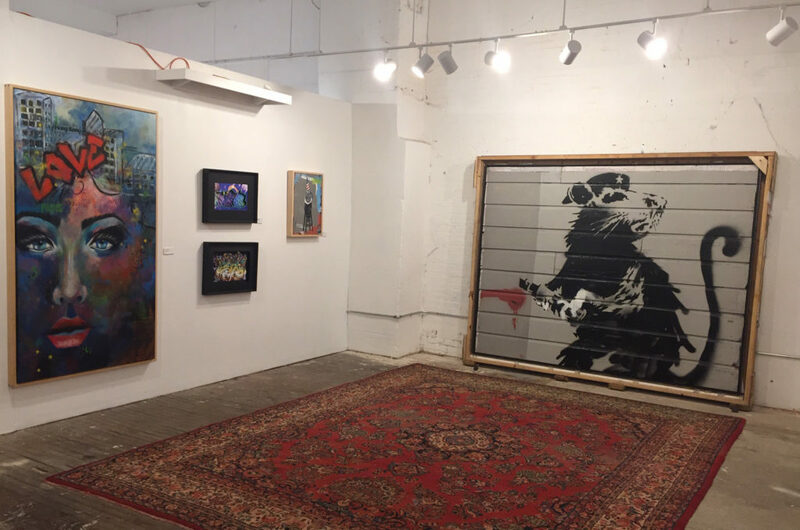 The Rat was paired with the statement, "This is where I draw the line," and placed above a gift shop selling graffiti art without the artist's permission. The piece was rescued by collector and street art proponent Brian Greif through a complex negotiation and removal process that took almost 9 months. For the months of October and November, 2018, it has hung on a wall in the Cultivate7Twelve Gallery of Waco, Texas for the general public to see. Along side of this $2,000,000 Banksy is a Turner Studio street painting called What the World Needs Now. We were proud to be included in this exhibit! Turner Studio was chosen to participate in their August 3, 2018 Portraiture Exhibit along with five other artists. The Artist and a guest talking art.